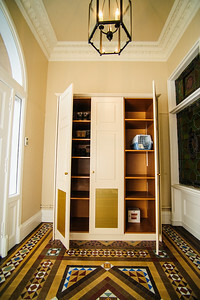 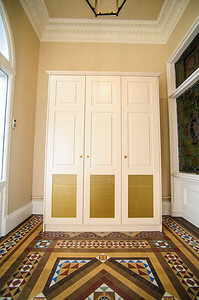 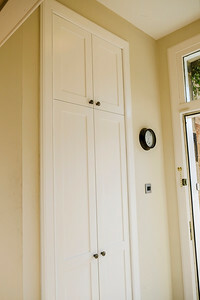 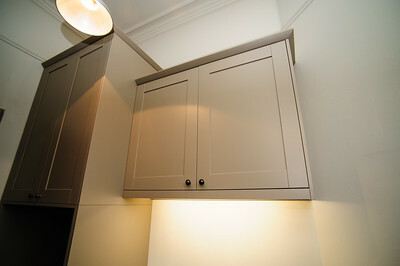 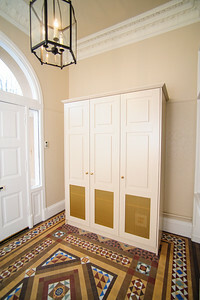 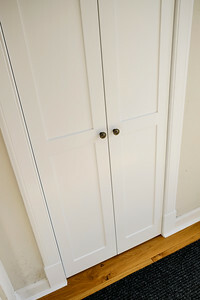 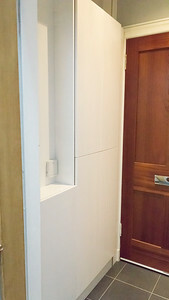 The job was to cover over an existing alcove used to hang coats and storage at high level. 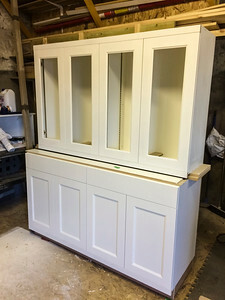 Doors formed with moisture resistant MDF in the Shaker style, all standards , facings and doors spray painted of site for a perfect finish. 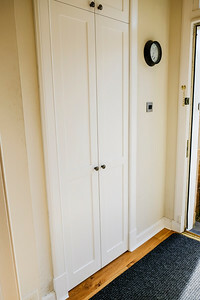 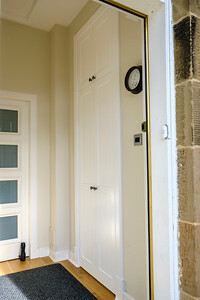 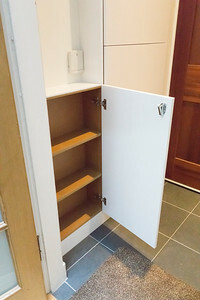 Vented bottom section of doors allows damp shoes and boots to dry. 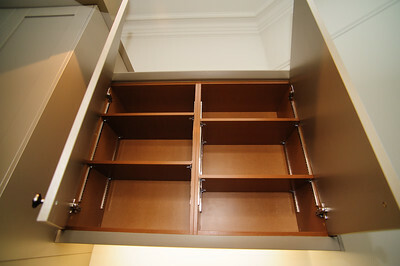 Tops section fully adjustable shelves. 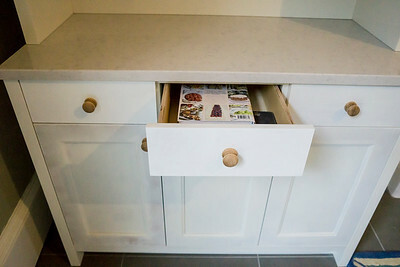 Custom made Dressers with Silestone tops Birch ply drawer boxes, primed and ready for hand painting. 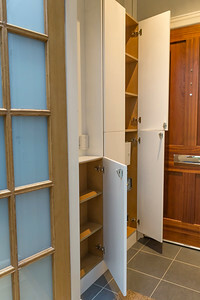 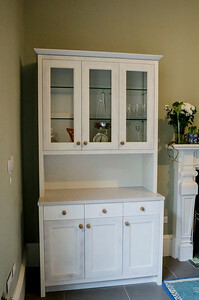 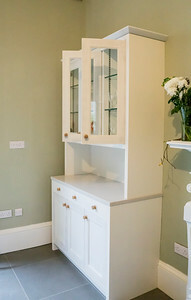 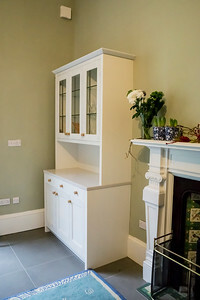 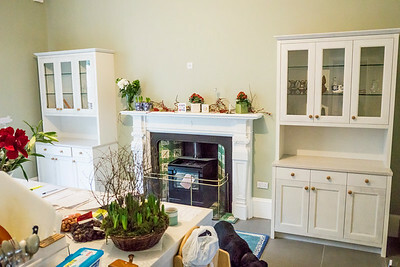 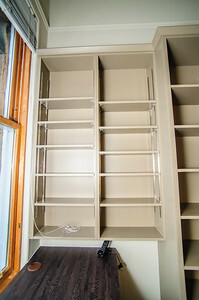 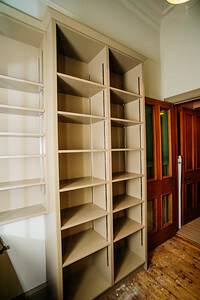 Hand finished painted MDF units and open adjustable shelving units. 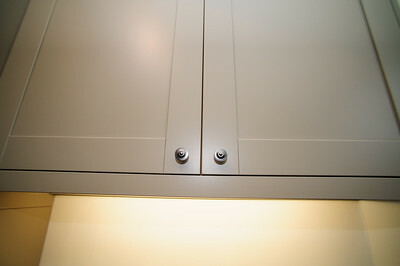 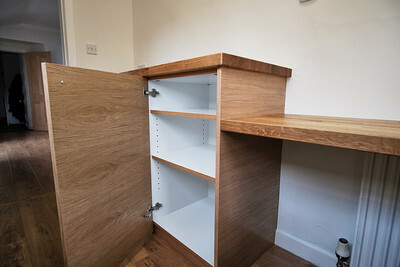 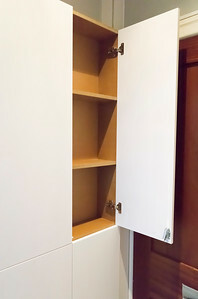 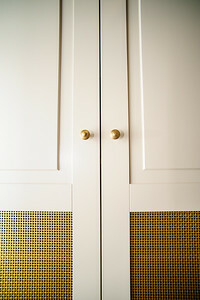 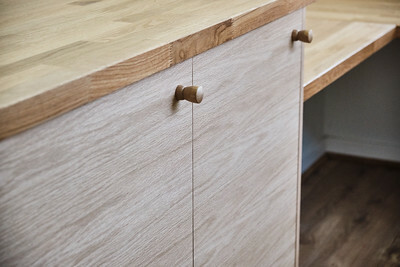 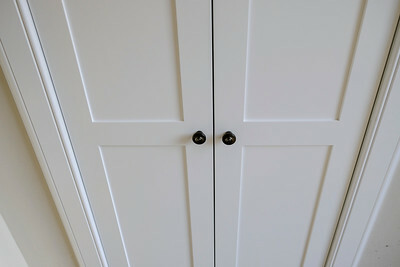 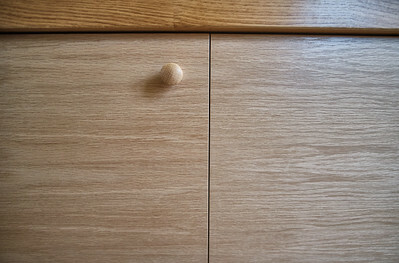 Interior of units have a lacquer finish. 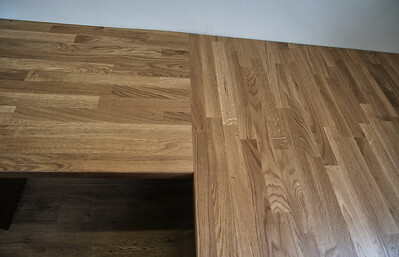 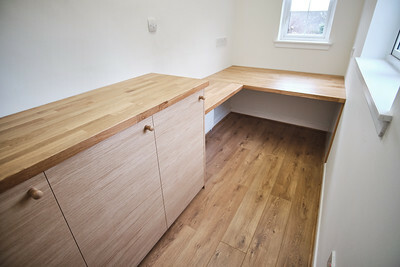 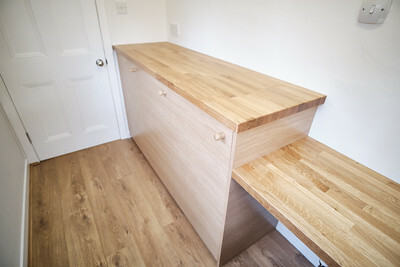 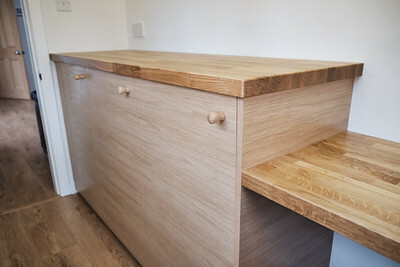 Wenge Style laminated worktops with power trunking. 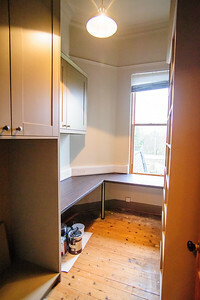 Awaiting floor covering. 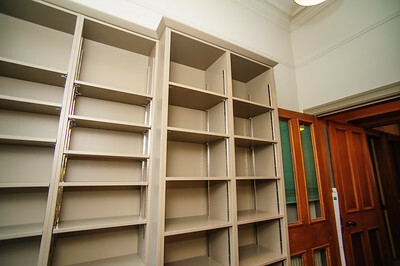 Hand finished painted MDF units and open adjustable shelving units. 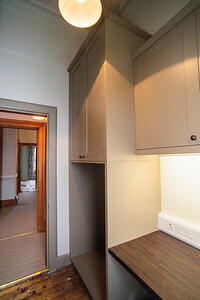 Interior of units have a lacquer finish. 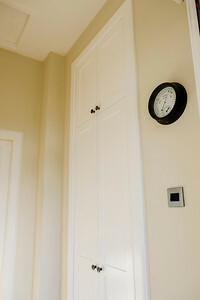 The job was to cover over an existing alcove used to hang coats and storage at high level. 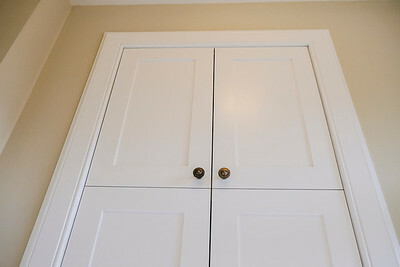 Doors formed with moisture resistant MDF in the Shaker style, all standards , facings and doors spray painted of site for a perfect finish.